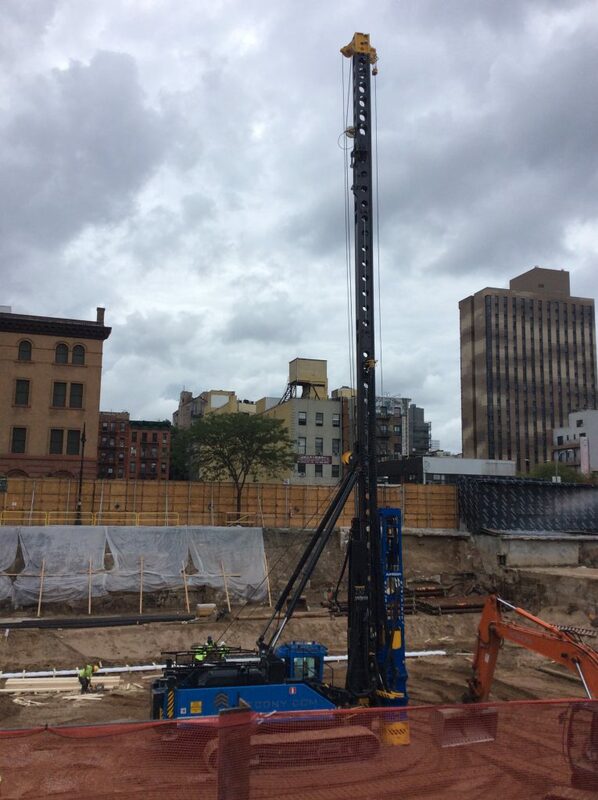 Pipe piles are a type of steel driven pile foundation and are a good candidate for inclined (battered) piles. 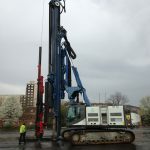 Pipe piles can be driven either open end or closed end. When driven open end, soil is allowed to enter the bottom of the pipe or tube. If an empty pipe is required, a jet of water or an auger can be used to remove the soil inside following driving. 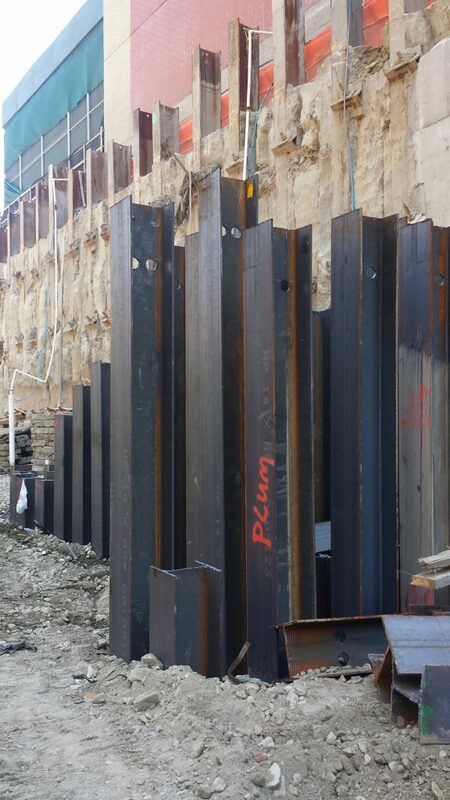 Closed end pipe piles are constructed by covering the bottom of the pile with a steel plate or cast steel shoe. 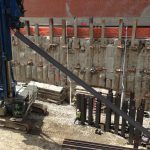 In some cases, pipe piles are filled with concrete to provide additional moment capacity or corrosion resistance. In the United Kingdom, this is generally not done in order to reduce the cost. In these cases corrosion protection is provided by allowing for a sacrificial thickness of steel or by adopting a higher grade of steel. 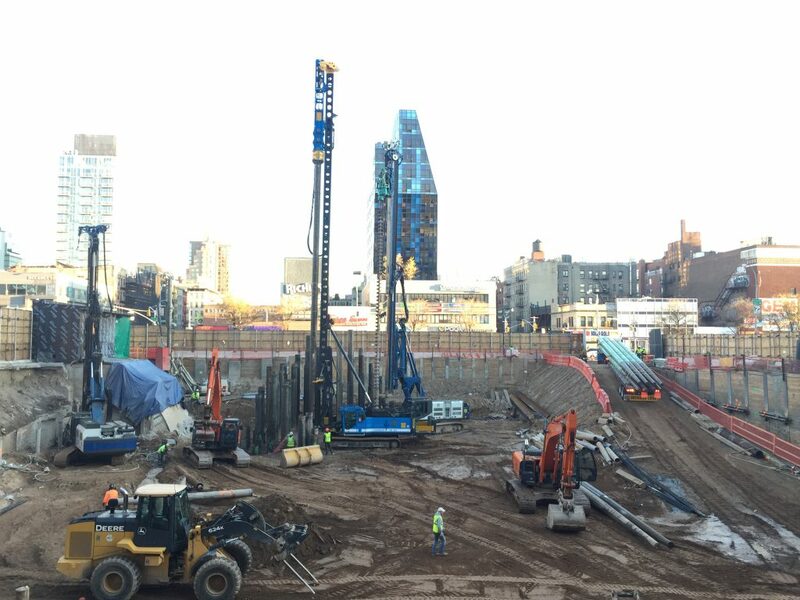 If a concrete filled pipe pile is corroded, most of the load carrying capacity of the pile will remain intact due to the concrete, while it will be lost in an empty pipe pile. 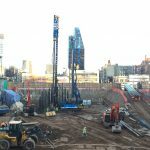 The structural capacity of pipe piles is primarily calculated based on steel strength and concrete strength (if filled). An allowance is made for corrosion depending on the site conditions and local building codes. 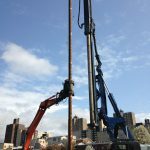 Steel pipe piles can either be new steel manufactured specifically for the piling industry or reclaimed steel tubular casing previously used for other purposes such as oil and gas exploration. 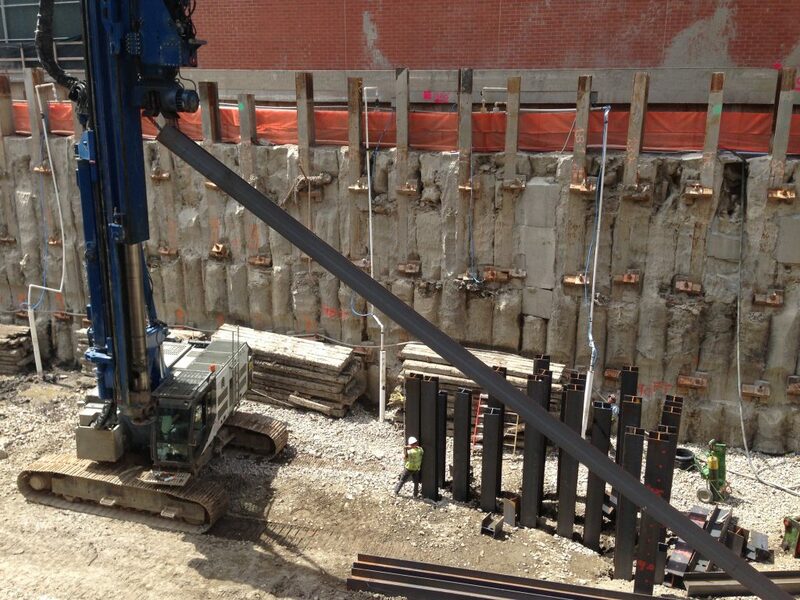 H-Piles are structural beams that are driven in the ground for deep foundation application. They can be easily cut off or joined by welding or mechanical drive-fit splicers. 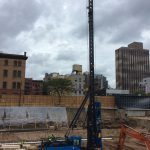 If the pile is driven into a soil with low pH value, then there is a risk of corrosion, coal-tar epoxy or cathodic protection can be applied to slow or eliminate the corrosion process. 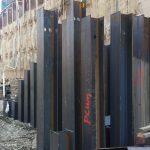 It is common to allow for an amount of corrosion in design by simply over dimensioning the cross-sectional area of the steel pile. In this way the corrosion process can be prolonged up to 50 years.